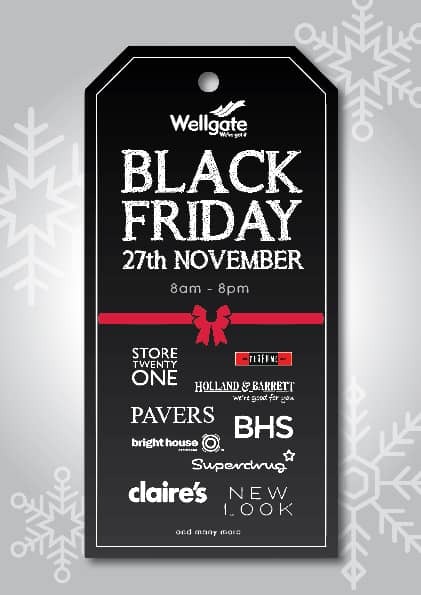 Wellgate retailers are to mark Black Friday for the first time ever, with shops preparing to open as late as midnight for the bargains bonanza. With the festive shopping season underway, the Dundee shopping centre will open from 8am-8pm on Friday 27 November, with BHS opening from 6am until midnight. Other shops participating include Superdrug, New Look, Claire’s and The Perfume Shop, and many more. Wellgate, like countless other city centres across the UK, is predicting a festive footfall boost throughout Black Friday, hailed the biggest shopping day of the year, when retailers slash prices across much of their stock to kick-start the buying season.